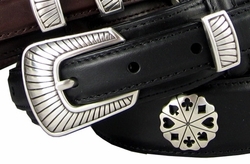 The Finest Oil Tanned Cowhide Leather accented with sterling silver Buckle set and 5 Poker Card Suit Conchos. 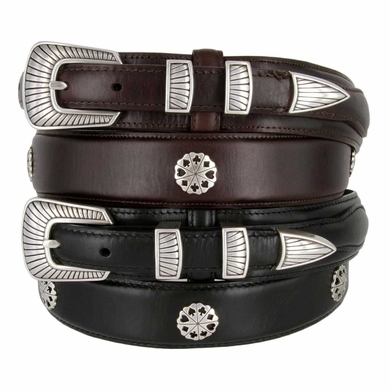 Four piece 3/4" buckle set. Belt 1-3/8" wide tapering to 3/4" at the buckle and tip ends.